If, like millions of others around the world, you are a huge fan of the TV show Game of Thrones, you will probably have wondered how the show’s creators managed to find some of the incredible locations used for the filming. Bringing the story to life as vividly as we see on the screen requires a great deal of thorough searching, but fortunately some incredible destinations were selected. Even better news is that you can actually visit most of them for yourself! Here are our top three picks if you want to take your devotion to the show to the next level of and see some of the spectacular destinations yourself. In the first episodes of GoT, the fictional city of King’s Landing needed to be represented by a real place in order to really capture the vision of the show’s creators. 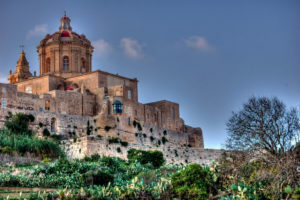 Fortunately, Mdina’s Medieval architecture (complete with a network of hidden underground tunnels) made it the perfect candidate. It’s a fascinating place to see in the real world since it was the original capital of the country.